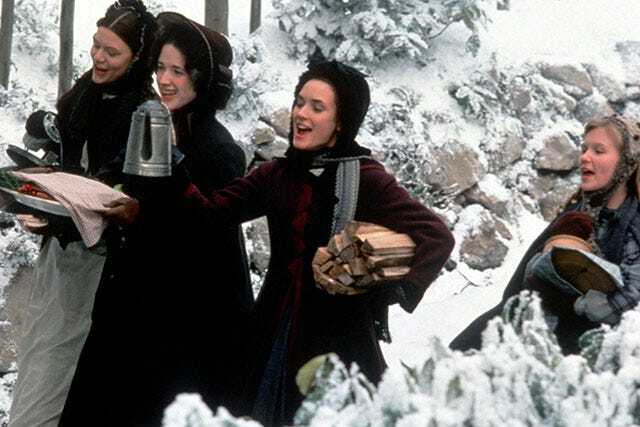 Little Women is the best. Everyone knows it. Including the people over at Sony, who are apparently producing yet another adaptation of our precious Louisa May Alcott novel, according to Variety. And look. We're trying to get on board. But we're scared. Sure, the central story was there, and Gillian Armstrong didn't take too many of the kinds of artistic liberties that irk us to our core when directors get hold of our favorite books. And yes, Christian Bale as Laurie was the most endearing, floppy-haired charmer, ever. We'd even go so far as to say this is his best work to date (sure, you thought it was his Oscar-winning turn in The Fighter or his take on Christopher Nolan's dark, brooding Batman, but that is in fact incorrect). But, despite all of that, there were a lot of problems with the movie. First, not enough Jo-and-Laurie time. Second, not enough acknowledgement that Alcott only wrote the second volume of the novel upon extreme pressure from her publishers to write more and marry the girls off — and as a result (and an F-you to said publishers) Alcott gave us all the romantic endings we didn't want. And third, and perhaps most appallingly, Gabriel Byrne is far too attractive to be convincing as the wretched father figure that is Professor Behr. Photos: Courtesy of Columbia Pictures, Warner Home Video. 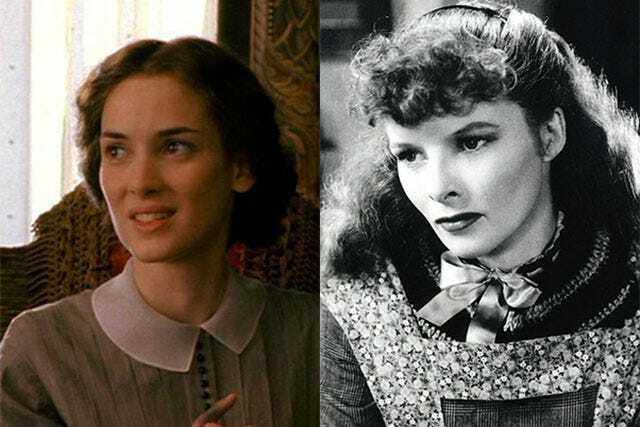 Our most recent Jo, Winona Ryder, alongside the great Katharine Hepburn, who played Jo March in the 1933 version of Little Women. In reality though, that's part of the problem that we see facing any new retelling of the story. Today's teen stars are too perfect. They're too Disney-fied (even if they don't have Disney roots). The Lucy Hales and Zendayas and even the Hailee Steinfelds of the world feel too shiny and perfect and magazine-cover-ready to really feel right as a March girl. All of which sounds incredibly reductive. But, hear us out. Because this is an emotional cause for us. We're not suggesting there aren't talented young actresses out there — or even that the young ladies mentioned above aren't among them — but, it's just hard to imagine a big studio going for someone other than a glossy star with perfect hair and Zooey Deschanel lashes to play these roles. That's just not what we want in our Jo and Amy and Meg and Beth. And, it's already bumming us out. We're trying to stay positive, but it's just so hard. So, what we have to say is this. Dear Sony: Please don't disappoint us. Please take into account the feminist and trailblazing ideals of Louisa May Alcott. Please remember that this is, first and foremost, a story about a band of women who struggle through the toughest of times with almost no help from a lovable but impractically idealist absentee father. Please don't lose sight of the fact that this is a coming-of-age story about girls who are trying to be good, not glamorous. And above all, please don't cast Zac Efron or Rob Pattinson as Laurie. We'll simply die.